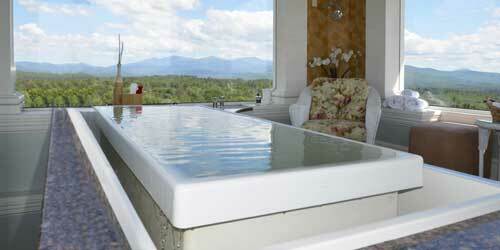 New England resorts and hotels continue a dizzying competition to create better spa services to pamper you. Many spas in resorts offer day treatments for the general public; you don’t need to be a resort guest to use its spa. Find a spa in or near your lodging and make the call. The array of exotic services dwarfs the familiar massage, facial, and wraps. The Langham in Boston,, Massachusetts, incorporates traditional Chinese medicine and other spas offer exotic rubs and wraps of apricot, frankincense, and algae! Spas celebrate the resources of their home regions: Mountain View Grand Resort & Spa in New Hampshire doles out 360-degree mountain views; Samoset Resort on the Maine coast promises the sound of the ocean and views of Penobscot Bay; Vermont’s Spa at Snowflake mimics the Green Mountains with its cascading waterfall. Spas are popular for girls getaways and mother-daughter time, but they also welcome men and couples. Or, like at the Norwich Inn and Spa in Connecticut, a Rees Jones golf course or other men's attraction may be just steps away. In Newport, Rhode Island, the Marriott and Hyatt Regency offer lush spa services after your stroll through Colonial history. An award-winning, comprehensive menu of over 60 spa services, including Body Treatments, Facial Treatments, Hand & Foot Treatments, Hydrotherapy and Massage Treatments help rejuvenate the mind and body. Located on the top floor of the resort, the Tower Spa offers ten spacious treatment rooms, which provide relaxing privacy with panoramic views. Experience the height of luxury and romance while soaking in one of our featured treatments, the Kohler Sök tub. Completely immerse yourself while thousands of champagne-like bubbles surround you as you take in the 360-degree views of the Presidential Mountain Range. The Health & Wellness Center at the Mountain View Grand Resort & Spa boasts a state-of-the-art fitness center, yoga studio, climate-controlled indoor pool, and a large dry sauna and hot tub. Conde Nast Readers' Choice "One of the 20 Best Spas in the US - 2015"
At Maine's Spruce Point Inn, we offer rejuvenating spa treatments in a tranquil, natural setting ideal for relaxation. Our inn and spa are the perfect place to unwind. We're located on 57 acres of pristine woodland on the rockbound sea. Here you'll find a unique selection of accommodations, including cottages, modern lodge rooms, townhouses, often with waterfront views. Enjoy delicious meals made with locally-sourced ingredients. Our spa features a fitness room, five spa treatment rooms, changing facilities, a hot tub, and a private lounge area. 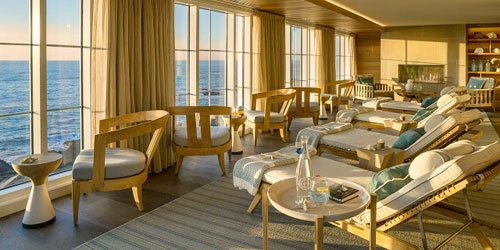 De-stress with a rejuvenating massage while enjoying the sights and sound of ocean waves. Experience rejuvenation with a Blueberry Bliss Facial, a blend of blueberries and herbs to revive the skin. Stay with us an enjoy an unparalleled spa experience. 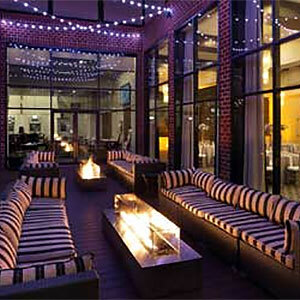 This fun, flirty and fabulous Boston Hotel offers guests splendor, serenity and special touches at the Bliss Spa. 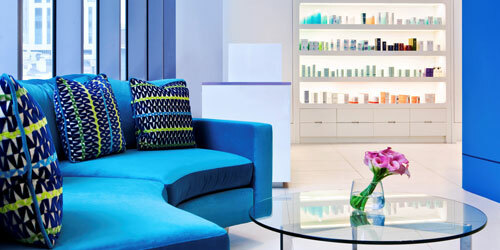 The background music is jazzy blues tunes and the pampering treatment rooms are for massages, wraps, manicures/pedicures, facials and highlighted by their very special Ginger Rubs, Hangover Herbies, Betweeny Waxes and Triple Oxygen Treatments. You'll find separate men's and women's locker rooms and lounges featuring steam showers and sinkside samples. Boston guests can also look forward to "BIP" (Bliss Important Person) status for priority reservations and exclusive in-room samples and amenities. A restorative urban retreat, it energizes with a signature menu of spa services, from massages, body treatments, and facials to beautifying services, including waxing and manicures/pedicures. Need a break from your busy routine? 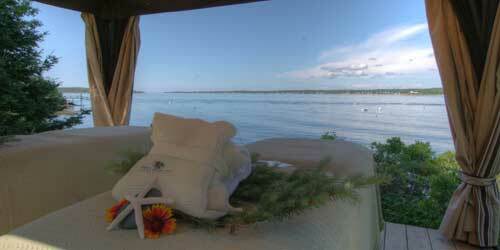 Try a spa weekend at Sebasco Harbor Resort. 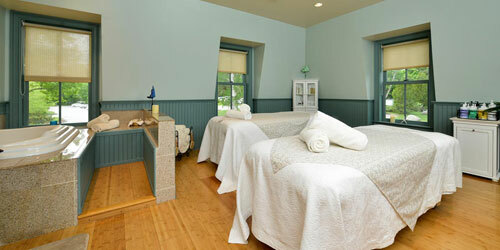 Our Fairwinds Spa, located next to Maine's rocky shore, is a peaceful, restorative, beautifying retreat. We offer a full massage menu. Our signature Swedish massage uses light to medium pressure strokes to reduce stress and relieve muscle tension. In our hot sea stone massage, we use heated smooth sea stones and classic massage strokes to sooth tired muscles and improve circulation. Other spa treatments offered in our ocean-view facilities include nail care, facials, and aromatherapy. A salt sea rub exfoliates and hydrates with sea salt infused with mint green tea, followed by an oil massage. A coastal wrap includes exfoliation and a body wrap in sea weed, green tea, and French green clay. From a modest 1963 motel, this AAA Four Diamond retreat has evolved into a world-class resort, one of Vermont's premier destinations, and the largest and most inclusive spa in Vermont. The 50,000 square foot spa offers more than 120 soothing treatments set amidst a rock formation hot tub with a cascading waterfall, a European-style mineral bath, spacious sanctuary lounges with steam room, a sauna, and a juice bar and a 10,000 square-foot meditative garden. The 4,000 square-foot, seven-circuit classical Labyrinth designed by the famed Patrick MacManaway of Scotland, is available to wander as a serene and relaxing outdoor sanctuary for personal reflection. The garden features regional flowers and herbs that are used in select Stoweflake Signature Treatments and the restaurant's spa cuisine. Enter the Spa of Essex and prepare to be pampered. Relax emotionally and physically in the sauna or steam lounge or treat yourself to a slimming body wrap, anti-aging facial treatment or a hot-stone massage. A comfy relaxation room, and an airy dining room, mean you can spend the day at the spa, emerging calm and polished from head to toe (from, say, a milk bath facial to a luxurious four-hand massage to a peppermint pedicure). A special couples suite lets you and your significant other enjoy a therapeutic massage together or take the couple’s journey from sedating wrap and massage to pedicures. Special treatments for teens, brides and mothers-to-be are also available. *Please call the hotel direct to secure this package or visit our website by clicking above. Package available Thursday - Sunday. Packages and Rates are subject to availability. Since 1997, Sewall House has been offering personalized retreats from May through October. The retreat, built in 1865, is listed in the National Historic Registry as the place a young Theodore Roosevelt spent three falls with guide William Sewall exploring the natural beauty of Maine, successfully treating the future president's asthma, and forging a lifelong friendship. It's a tradition of healing and camaraderie that continues today, led by Sewall's great-grandaughter Donna Davidge who has 30 years of experience teaching yoga and meditation. A variety of yoga forms are available. Add meditation, massage, sauna, hiking and lake tours, and enjoy swimming, canoeing, biking, kayaking and time to shop for local crafts. Feed your body with acclaimed vegetarian food, prepared to accommodate vegan & gluten-free needs, and heal your mind with our fresh air, lakeside setting and a comfy porch. 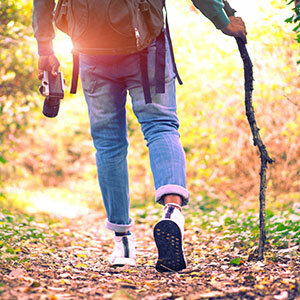 Restore mind and body and connect with nature, with organic products and unique seasonal treatments that capture the essence of Vermont. Enjoy one of our signature spa and wellness services to complement the sensational seasons of Vermont. First, a gentle exfoliation is performed followed by a hydrating body masque with one of our seasonal botanicals. As your skin soaks up the emollient rich mixture you will experience a luxurious scalp massage with wild lime oil and a relaxing foot massage. An application of hydrating body lotion and a full body massage leaves skin feeling soft and supple and your body feeling completely rested and relaxed. The Spa provides both a serene escape and a reinvigorating relationship with the natural environment. Its simple, beautiful design expresses values that are fundamental to personal well-being and bring forth the most relaxing weekend getaway or vacation. Your everyday cares will melt away as soon as you walk through the doors of The Wentworth, a romantic inn set among the majestic White Mountains. But in case your luxurious room (with perhaps an oversized Jacuzzi or a private outdoor hot tub – or a fireplace) doesn’t totally push you into bliss, The Spa at the Wentworth Inn is calling your name. Enjoy a river stone or deep tissue massage or a relaxing facial, or try The Wentworth Wrap, where you finish with an aromatherapy face and scalp massage while wrapped in warm blankets. Marvel at your silky skin after a Sea Salt Therapy treatment. Or arrange for a couples massage in the privacy of your room. In the evening, tempt your tastebuds with the farm-to-table cuisine of the inn’s signature restaurant. 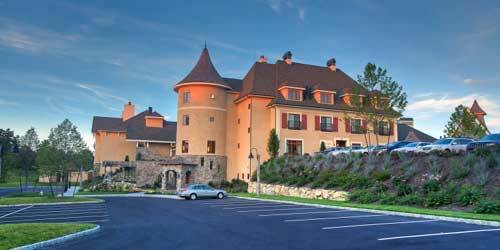 A feast for the senses awaits at the new spa and salon at Mountain Top Inn & Resort. Our 4-season mountain top resort & spa is located on 350 private acres, with sweeping views of the Green Mountains and a tranquil lake. You will find us just a short drive from Killington in Central Vermont. Our 6,000-square-foot spa and salon offers a complete line of treatments and services from the area’s most talented practitioners. Along with the services menu, you will find fitness classes, boot camps & training, surfset, yoga, bathrooms with private shower, a heated outdoor pool, hot tub and sauna. Inspired by our natural surroundings, many of our treatments use natural, locally harvested ingredients. A full list of services can be found on our website. Awaken your senses in the world-class Cascade Spa, a full-service day spa for men & women, offering signature Cascade Spa wellness treatments, massage, body treatments, facials, deluxe private treatment rooms, steam rooms, relaxation lounge, manicures, pedicures and an indoor/outdoor pool. We happily accommodate couples seeking a spa experience in our Couples Suite with side-by-side massage tables and a hydrotherapy tub for two, making this the perfect romantic weekend getaway destination. Cascade Spa also carries the highly distinguished line of Sonya Dakar skin care products. 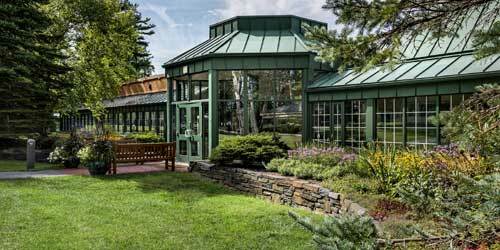 We invite you to enhance your stay at our Inns with a visit to Cascade Spa open 7 days a week. Treatment packages and gift certificates available. Reserve a relaxing spa treatment at The Mill Pool and Fitness Center at Purity Spring Resort, and enhance your vacation amidst the majesty of forests, lakes and mountains. Enjoy a full body Sugar Scrub and an exfoliating treatment that leaves your skin feeling smooth and soft. Indulge in an uplifting facial toning massage with all-natural local products from Fields of Ambrosia that clean and tone your skin. 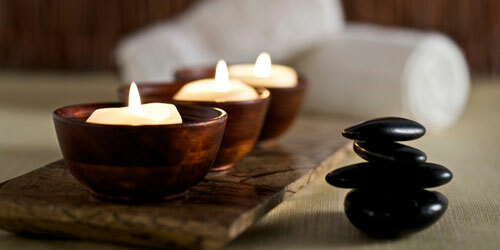 Add on an Aromatherapy Massage to stimulate the senses and an herbal eye treatment to wake up those tired eyes. The Paraffin Treatment for hands and feet reaches those often neglected parts of the body while increasing blood flow and relaxing muscles after an active day. Book your Purity Spring spa experience now. The new Beach House Spa at Ocean Edge Resort & Golf Club is the perfect place to pamper and feel your best as you celebrate a wedding, a memorable vacation or just a little “me” time. The Spa offers a variety of treatments including manicures, pedicures, massages and facials -- including the popular Hydrafacial – and features all-natural and cruelty-free skincare products from Farmaesthetics. The Spa’s airy and elegant Side Porch is the perfect setting for bridal parties, baby showers, birthday nail parties -- catering to guests’ every whim with food and beverage service. In the summer months, the Beach House Spa offers wellness programming including Meditation, Acupuncture Happy Hour, Drumming on the Beach and more. The Beach House Spa is open to the public. 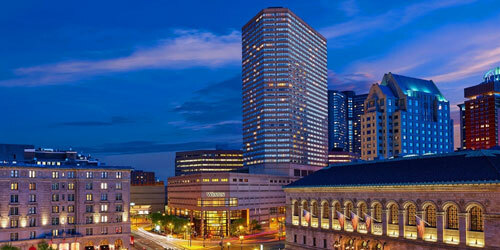 The Westin Copley Place is the place to stay if you're looking to relax and rejuvenate during your visit to the city. Our Grettacole Spa features all the latest treatments to soothe your spirit and bring out your natural beauty. Try a vitamin infusion or an anti-aging and radiance treatment. Enjoy a facial or a relaxing massage. The hotel features an indoor pool and a 24-hour fitness center. For just $5, we can provide New Balance athletic shoes and apparel for use during your stay. Enjoy a healthy breakfast at our Huntington Boston restaurant, open weekdays from 6:30 to 11 a.m. and weekends until noon. Options include Greek yogurt with berries or fruit and oatmeal pumpkin pancakes, served with nutmeg butter, agave nectar, and fresh berries. Here the sea rejuvenates you - inside and out. Health is sometimes a matter of place. Here, this magnificent New England Resort breathes ocean breezes and salt air and spectacular views as far as the eyes can see. Sit on the harbor and feel the ebb and flow of the tide slow down your heartbeat. Take that feeling into the world class spa offering therapeutic services in its state of the art facilities. You’ll find treatments for body, mind, soul and spirit accompanied by natural seaside ingredients. There are varieties of massage, hot stone and body treatments, facials, nail, beauty and bridal services. Enjoy great food in the ocean-view Reading Room Restaurant and Terrace Grille. Then relax in luxurious rooms and suites with balconies overlooking the ocean. Now exhale. A spa is as much a state of mind as a place or a set of treatments and therapies. Here, you can enjoy them all in a beachside retreat just made for providing those special touches to your relaxation needs and desires. The Sounds of the Sea Spa will help strengthen and rejuvenate your mind and body. The facility offers the ultimate work out and soul soothing opportunities in Connecticut, and conveniently located only steps from your guest room. The Spa’s luxurious treatment rooms are your oasis for professional massages and facials wrapped in a tranquil atmosphere. Before or after your treatment, unwind in the relaxation room offering a soothing selection of imported teas, flavored waters, and healthy snacks. Mirbeau accolades include AAA Four Diamonds and Conde Nast Top 20 Resorts in New England and Top 100 Hotels and Resorts in the World. As soon as your slip on your plush robe and spa sandals at the Ocean House OH! Spa, you will know your journey to utter peace and relaxation has begun. Move gradually from this Forbes Five-Star Spa’s marble herbal steam room to a peaceful waiting area to a treatment room where experienced therapists will help you deeply relax with seasonal body and facial treatments inspired by the coast and the harvest. Get your glow on with marine minerals or melt away wrapped in warm lavender butter, get a de-stress or beach stone massage or a facial featuring the scents of the garden. Men, ask for the Gentlemen’s Getaway massage and facial. 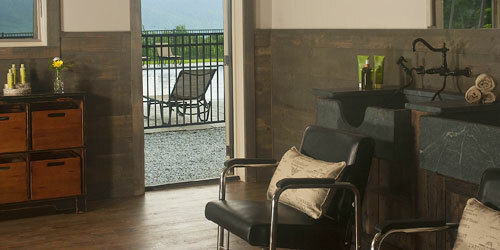 The spa also offers couples massages as well as nail treatments and an elegant, intimate hair salon. 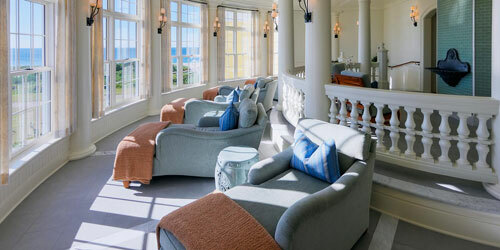 Water, stone, sky and sand are the elements forming the basis for the luxurious treatments at The Spa at Cliff House, part of the spectacularly renovated Cliff House resort on Maine’s coastline. Soothing colors of the sea, both inside and out, accentuate the spa’s mission of providing an oasis of relaxation set against the dramatic Atlantic Ocean. Your session, which starts and ends in the luminous cliffside sun lounge, with its panoramic water views, can include saunas and steam rooms; and energy, therapeutic and salt stone therapy. Unique skincare and body treatments – try the aromatic seacoast rose or salt of the sea massage – emphasize healing, relaxing organic and natural elements. The resort also includes indoor and outdoor pools and a fitness center. Enjoy the many pleasures of a seaside spa. Indulge the senses and allow this intimate 19th century seaside Inn to be your personal retreat with treatments individually customized for guests of the Mansion. Savor a Couple's Spa Experience as you and your loved one soothe, heal and beautify your bodies and spirits with treatments by licensed and award winning therapists from “YourBodyWorks” that will leave you feeling refreshed and invigorated. Choose from several popular options including the Signature Massage & Express-Facial, Traditional Swedish Massage. Deep Tissue Massage, “LaStone” Deep Heat Massage, and “Balancing Act” Facial and Massage. The spa uses only the finest in skin-care products and aromatherapy products created from botanical extracts. You’ll find a variety of spa and room specials and packages throughout the year. Relax, rejuvenate, recover, re-energize: No matter your goal, the Spa at Norwich Inn has a treatment, class or program especially for you. Try the healing honey body wrap (with honey from the inn’s own hives); an oatmeal cookie manicure or peppermint pedicure; or rain drop therapy with essential oils. De-stress with your choice of a hot stone, Thai or Swedish massage. 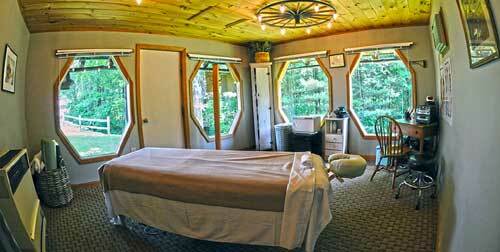 Or let Ayurvedic, Reiki and other ancient healing techniques bring you balance and tranquility. Other spa services include an indoor pool, sauna and steam room, fitness classes (from meditation to morning hikes), healthy cooking demonstrations and the latest tips from makeup artists. Personal trainers will provide fitness profiles and a take-home fitness plan to keep you on track. Breathing in fresh mountain air, filling your senses with exhilarating mountain vistas, strolling through 380 acres tucked away in the beautiful Berkshires: That’s a recipe for relaxation and wellness. And it can be found at the Cranwell Resort, high on a hilltop in charming Lenox. The resort also features a fitness center and fitness classes, an indoor pool, an historic 18-hole golf course and Sloane’s Tavern, with a variety of delicious and healthful menu options. Lodging at the Carriage House will take you back to a more relaxed era. 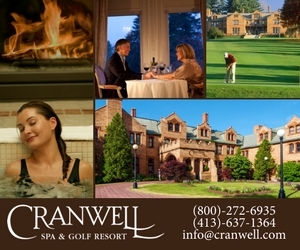 And, although Cranwell’s luxurious full-service spa is on temporary hiatus (except for salon services) during a resort-wide renovation, it will be back soon, providing utter relaxation for guests amid scenic surroundings. Sneak away to a vibrant oasis of color, energy, and renewal. Here, by the tranquil edge of Long Island Sound, you will experience a refreshing escape from ordinary spas. Whether you desire a dip in the sparkling heated pools, an invigorating workout, or a private massage, the professional staff awaits to sweep you away. From hot stone treatments to European facials, the wellness services are the perfect complement to any New England vacation. Treat yourself to the luxurious array of features and services at this Connecticut getaway spa, including body wraps, scrubs, manicures, pedicures, sun decks, a sauna, and 11 different treatment rooms. Then make this your healing getaway anytime the need for one arises.